If quality and reliability is important to you on your next vehicle purchase, check out the luxurious 2017 Range Rover Evoque. This five-door compact SUV has received the highest Total Quality Score in the Near-Luxury Utility Segment of the 2017 Strategic Vision Total Quality Impact (TQI) report. This report analyzed survey responses from over 42,000 new vehicle buyers after their first 90 days of vehicle ownership. They were asked to rate aspects such as buying, owning, and driving experience. The 2017 Range Rover Evoque was acknowledged for its impressive engineering, workmanship, and interior styling. Drivers enjoyed the reliability, elegant design, and all-terrain capability. Capability, luxury, and reliability create a perfect vehicle for you. 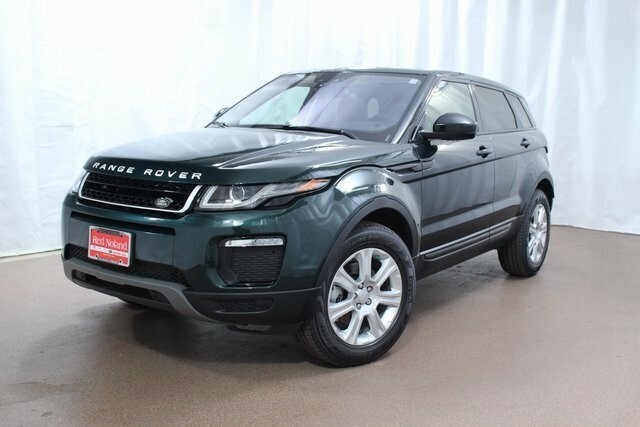 Experience the 2017 Range Rover Evoque at Land Rover Colorado Springs. Let us show you all the exciting features and quality craftsmanship that make this SUV so popular with luxury vehicle drivers. We are located just off I-25. So we are convenient to Pueblo, Castle Rock, and Monument too!